Tendonitis is inflammation of the tendons and this can affect a wide number of different regions around the body leading to swelling and discomfort. If you find you are suffering from pain in your legs or anywhere else in your body, then tendonitis might well be the cause. In this post, we will be examining the causes, symptoms and treatment for peroneal tendonitis in particular. This affects the peroneal tendons, which cause pain on the outer ankle. 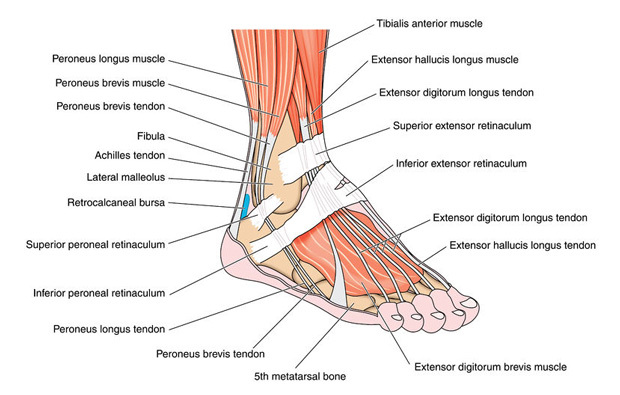 The peroneal tendons run from behind the lateral malleolus to the upper portion of the lower leg, connecting with the peroneus longus muscle in the legs (located around the calves). 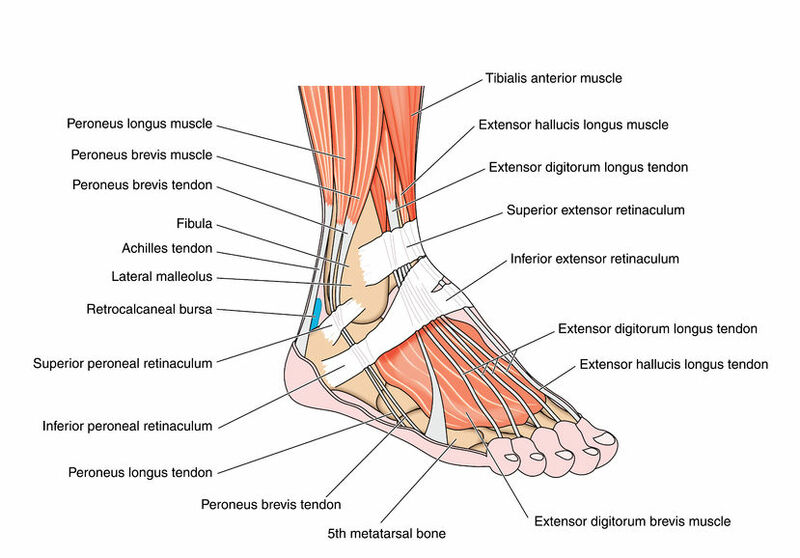 When this tendon becomes inflamed, it can lead to some visible swelling and/or pain on the outside of the ankle, just below the protruding area of bone. This pain will often get worse with increased activity and will subside during rest. The cause of tendonitis is in most cases either injury or overuse. If you walk long distances, run regularly, or have twisted your ankle/had a fall, then this can lead to a tear or other small injury that might develop into tendonitis. Fortunately, tendonitis will normally heal on its own with rest. Normally, this will take around 2-3 months depending on the severity. The problem with peroneal tendonitis and other forms of tendonitis affecting the feet and ankles, is that it is not always easy to find the necessary time for resting. Athletes suffering from tendonitis should refrain from training while they recover. If you walk into work every day, then you should do everything you can to limit the amount of time you spend on your feet. This may mean requesting that a colleague or partner give you a lift in the mornings, or it might just mean getting public transport closer to your destination. When walking, make sure that you are wearing comfortable footwear and try to take it slowly wherever possible. The rest of the time, remember the acronym RICE. This stands for Rest Ice Compression Elevation. Try to keep your leg proper up on a chair opposite you and wear a compress for added support. If you find that this does not help the condition, then you might want to speak with your doctor about anti-inflammatory medication such as a cortisone injection. You may also find that aspirin and other blood thinning analgesics can be helpful. Finally, if the problem is recurring, then you might want to talk with your GP about corrective orthotics that can help you to improve your gait and biomechanics.